A trio of big six-axle M630's built by Alco subsidiary Montreal Locomotive Works are on the point of this eastbound merchandise freight heading towards Montreal through its western suburbs. 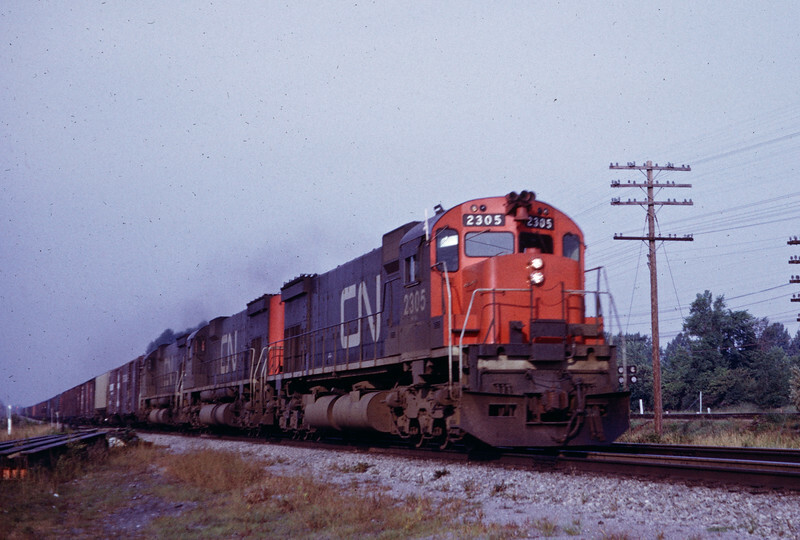 The M630 / C630 was the last successful mainline locomotive produced by Alco before its exit from the locomotive business. It was followed only by the ill-starred M636 / C636 model. In addition to the big Alco's, other aspects date this picture, including the 40' boxcars making up most of the train and the many lines carried by the telephone pole in the background.